What are project notes? Who has access to project notes? / Project Management / What are project notes? Who has access to project notes? Project notes are a great way to store information related to a project. It could be a procedure, a login or any note that is needed when working on the project. Intervals lets you store anything you want in the project notes. With project notes, Administrator level users see all project notes. For the other user levels you have control. The permissions for project notes for these users is set on a per project basis and you have two controls. You can control whether or not a person can see project notes for a project AND you can control if they see sensitive project notes. When creating or editing a project note there is an option to flag the project note as secure. This encrypts the note in the database for added security and it restricts access to the note to only those users with access to private project notes for the project. 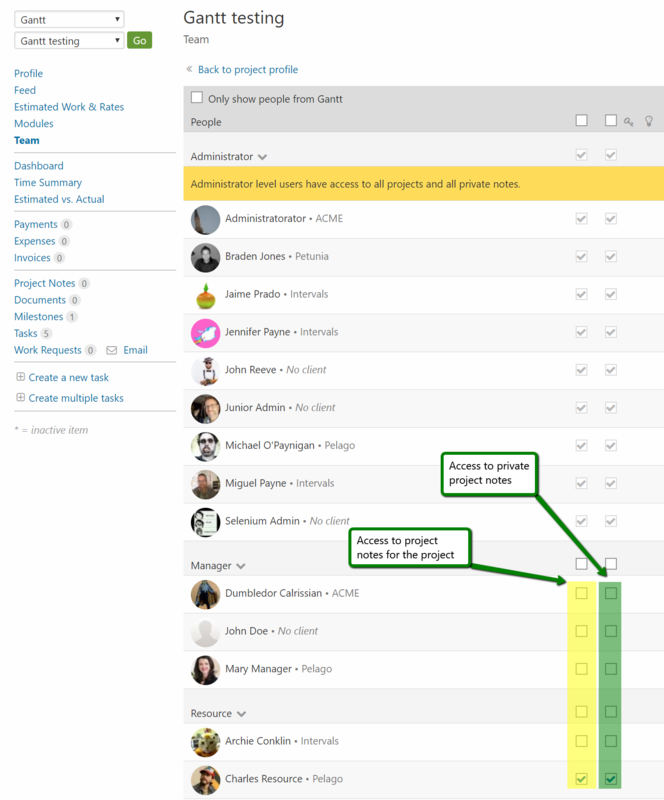 You could have a manager or resource level user on one project that have access to project notes. On another project one of them may have access to private project notes while the other doesn’t have access to project notes at all for that projects. Project notes offer a flexible note system to store project related notes and control who can see them. How do the project level permissions work? How do I create a person? What are the four user levels? Can I bulk update someone’s project access? Don't have an Intervals account? Start your own unlimited trial.